SERTOMA is an acronym for SERvice TO MAnkind which was established in 1912 with headquarters in Kansas City. Sertoma exists for the high and noble purpose of SERVICE TO MANKIND by communication of thoughts, ideas and concepts to accelerate human progress in health, education, freedom, and democracy. Georgetown SERTOMA Club was chartered in 1979 as a 501c(3). The club has grown steadily since then. The Georgetown Club is a dynamic organization that is well organized and active in the community. There are currently approximately 50 members, the great majority of whom, contribute their time and energy to club projects. Each week we have a featured speaker, enjoyable social programs and meaningful projects that have a visible impact on the community. We have meeting opportunities four times per month. Locally, speech and hearing has been one of our main focuses since chartering in 1979. We have been very active in addressing the needs of our community with Williamson County being identified as one of the fastest growing counties in the USA. Along with this growth comes increased needs for hearing support which our club hopes to meet. We have 7 Hearing Aid Collection Centers located throughout Central Texas, under our national program (S.H.A.R.P.) Sertoma Hearing Aid Recycle Program which has provided over 300 hearing aids each year to the University of Texas Speech & Hearing Center located in Austin, Texas. We work closely with their staff to screen, test and fit hearing devices to qualifying clients. In addition, we work closely with local Hearing Centers to provide hearing devices and surgeries as needed. Over the past 5 years alone we have provided over 45 hearing aids to needy patients and helped pay for numerous surgeries to those in financial need. Our Sertoma Club has provided hearing software and computer equipment to our local schools and Lone Star Circle of Care to address hearing issues for those in need. In addition, our Sertoma Club has addressed the hearing needs in our community by installing Hearing Loop Systems at the Georgetown City Council Chambers, City Library, and Palace Theatre. These looping systems enable persons with hearing aids to hear much clearer as the sound is directly sent to their hearing device. Additional needs in public gathering places are still being addressed. We continue to educate and reach out to the community to help address hearing needs. As an International organization, Sertoma’s impact is not limited by boundaries, gender, race or religion. The unifying attribute among members is a genuine commitment to service to mankind. Members find the value of teamwork by raising money for worthy causes, and Sertoma provides the individual member opportunities for growth. In helping others, members enjoy the fellowship shared at regular club meetings and developed by working sponsorships. 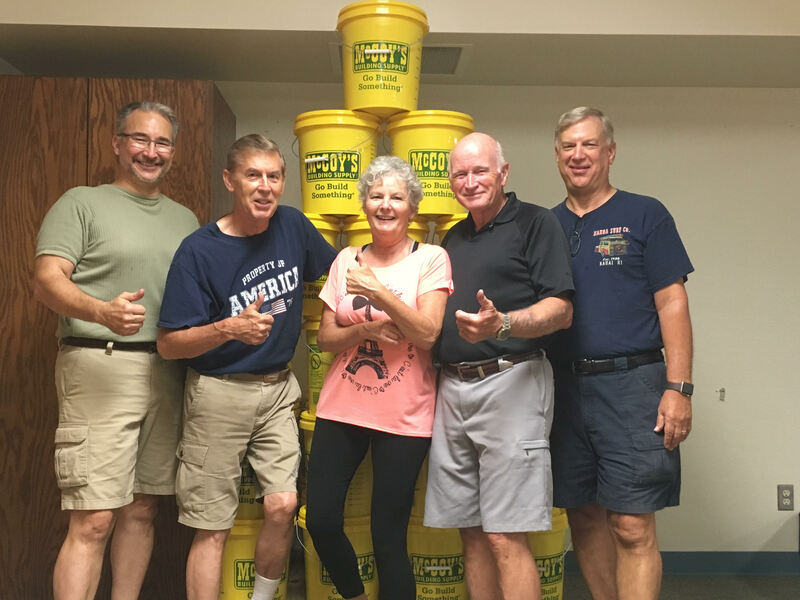 Sertoma Members gather items for the Hurricane Relief Buckets. Sertoma also offers you a chance to demonstrate leadership abilities, to develop interpersonal skills at the committee and project levels and in public speaking. 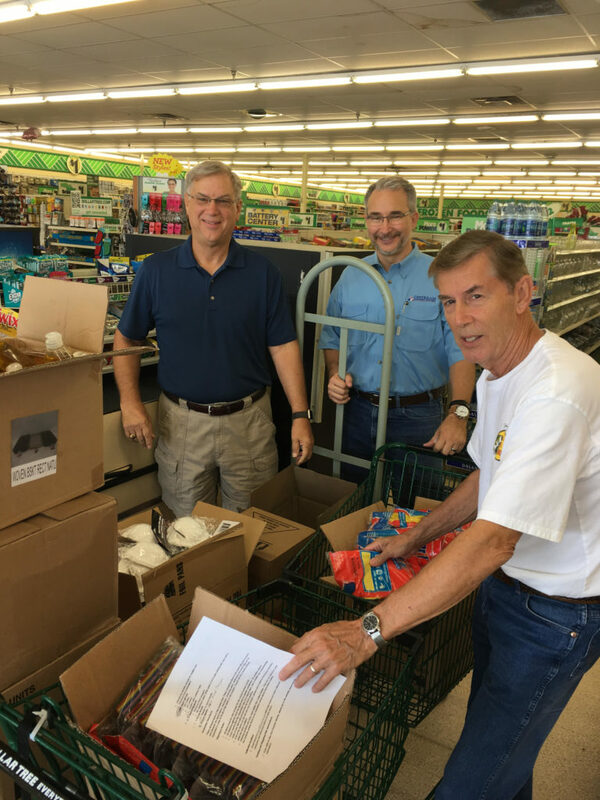 Joining SERTOMA means giving of yourself in many ways, but in serving others you serve yourself as well.